Prospective students and their families take a guided tour of campus during the November Jaguar Day at the University of Houston-Victoria. The last Jaguar Day of the 2017-2018 school year will be April 21. 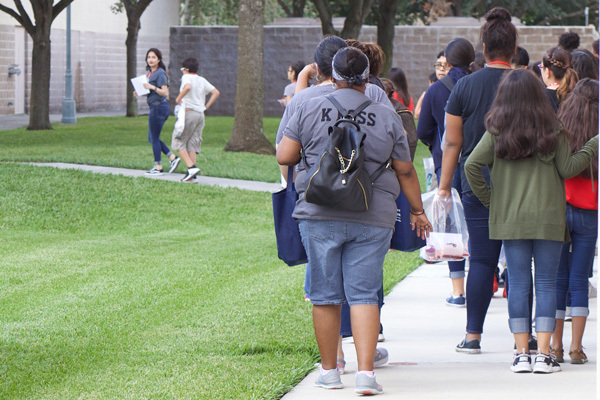 The University of Houston-Victoria is hosting its last open house this school year on April 21 for high school seniors and other prospective students to preview the college experience. Prospective students, including incoming freshmen, transfer and graduate students, will have the opportunity to see firsthand all that UHV has to offer. This will be the last of three Jaguar Days that UHV is hosting during the 2017-2018 school year. Students will have the ability to register for summer or fall classes during the event, with hands-on assistance from faculty and staff. Jaguar Day will begin with check-in at 8:30 a.m. in the lobby of UHV University North, 3007 N. Ben Wilson St. The event is come-and-go until it closes at 2 p.m. Students interested in attending should preregister. 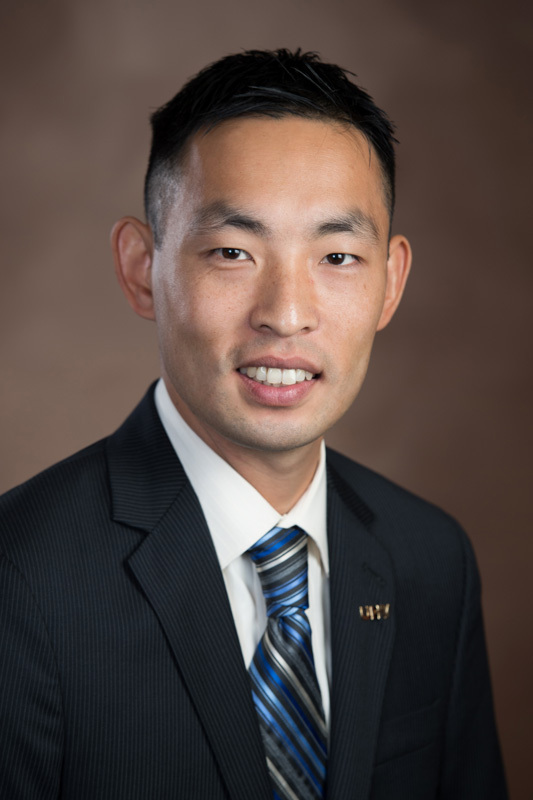 Students will be able to meet with faculty members from each school and representatives from some of UHV’s offices, including Admissions & Student Recruitment, Career Services, Financial Aid, Residence Life, and Student Life & Services. Tables will be set up throughout campus for students to come with questions and have them answered while on their trip. Throughout the day, students will hear from UHV President Vic Morgan, and receive guided tours of campus, the residence halls at Jaguar Village and the city of Victoria. In addition, students will learn about UHV majors and degrees, ways to get involved in campus life and will eat lunch inside Jaguar Hall Dining. Souvenirs will be given to those who wish to take something home. There also will be UHV shirts and other merchandise available for sale. Also, UHV’s jaguar mascot, jaX, will be available for photos. If students and families are unable to attend Jaguar Day, they still can sign up for a personalized campus or guided group tour on weekdays. Students can submit a tour request form to schedule a day and time convenient for them. To sign up to attend the final Jaguar Day of the school year, visit www.uhv.edu/jagday. To sign up for a separate campus tour, visit www.uhv.edu/visit/tour-campus/.